Social Media has exploded over the last decade. The various platforms are used for promoting business, expanding professional and personal connections in general. Friendships are made, online humor helps us to get us through the day, and we share what we think is most important in life. Scrolling through Instagram, a noticeable trend among both young and old alike is people posting about their successes when it comes to health and fitness. We have all seen those before and after pictures when it comes to body transformations. Most people concentrate on the changes to the body. But, consider the full changes that occur when an individual completes the process to reach their goal during their journey through weight loss. Sometimes people do not properly understand how weight problems develop. Emotions like jealousy, envy, or self-esteem issues can cause weight gain. Physical issues can contribute to the problem. Often it’s poor dietary habits. To lose weight a lot of people cut foods out of their diet and starve themselves. Struggling to keep up with a strict diet plan. This is not always the best strategy. Cutting certain foods out can alter your state of mind, causing confusion and fatigue throughout the day. A poor diet also affects mood which can cause issues in relationships with family, friends, co-workers and those we interact with. Eating healthy not only helps you stay fit but more importantly, eating nutritious foods does so much more for those functions going on inside our bodies. The change in physical appearance that occurs is an added bonus. Eating healthy creates miraculous changes to our bodies. It improves our heart health, cognitive function for memory and concentration. It can play a big role in cancer prevention, and more improved health overall. Changing your diet for the benefit of your health is a process. Some people go cold turkey and start right away while others gradually take different steps until they grow a complete aversion to bad food. Most foods we eat have been chemically processed, have preservatives in them, contain artificial substances (flavors, or sugars) etc. One of the first steps to making a change in your health is by taking a multi-vitamin once a day. 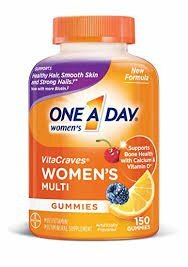 I take a “Woman’s One a Day gummy multivitamin”. They can be purchased from the local retail outlets. Vitamins are better absorbed through sublingual consumption or in a pill form. But, for me, I personally enjoy chewing fruity flavor gummies. The changes were slow at first. First off I noticed stronger nails and smoother skin within the first month. As well as having more energy to chase my kid around daily. 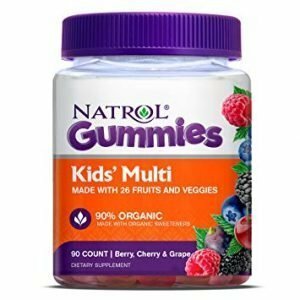 For kids, gummies are the best choice because they think it is a snack. My son has autism and takes organic vitamins. They seem to help especially since he is a very picky eater. By taking vitamins this reassures me that he will get the nutrients he needs, those that he may be missing from being a picky eater. The brand I use is called “Natrol Gummies Kids Multi” made with 26 fruits and veggies. Nutrition Works in Fenton is also a place health conscious individuals should check out. Their slogan is “Healthy Choices, Happy Life”. It is one of the consistently top-rated health food stores in Michigan. They also offer essential oils, Gluten Free Foods, Vitamin Supplements and much more. With busy lifestyles, we all are constantly on the go. Which sometimes makes it hard to eat healthy foods. Looking for healthier eating options I took some time to explore around town to find restaurants that are fast and convenient as well as offering healthier food. “Vibe Well” is a juice bar that provides organic smoothies and acai bowls great for breakfast or a healthy snack run. Their smoothies are quite filling in my opinion. Vibe Well’s logo is “Always Fresh. Always organic. That is our promise to you”. Two of my favorite Middle Eastern restaurants are “Habiba Middle Eastern Grill” and “La Marsa” in Fenton. Studies have shown that the Mediterranean diet has certain health benefits as well as having shown to prevent certain diseases. “Bangkok Peppers” restaurant has quick service offering a variety of meals with healthy choices. Their Thai food meals are made with unique spices, herbs, and vegetables. Turmeric is known to relieve inflammation as well as having some medicinal properties. It is a popular spice used in many Thai dishes. A few other places I can recommend are “Marjie’s Gluten Free Pantry”, “Tropical Smoothie Café”, and “The Fenton Deli” my favorite sandwich from there is called the True Grit. You have got to try it. There is a “Panera Bread” located on Owen road which offers a good variety of fresh food. Then there are the quick sandwich shops “Jimmy Johns” and “Subway” that also offer preferred choice healthy selections. Spending too much money on take-out? That happens, “Walmart” and “VG’s” offers a wide range of organic products and fresh foods you can take home and prepare. 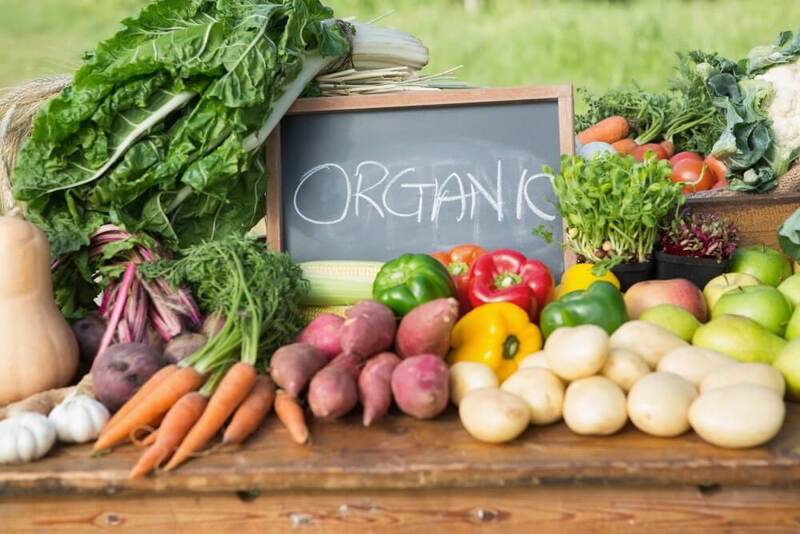 Organic foods have recently become more popular and for a very good reason. You can even find organic pads, organic cereal, and yes organic chap-stick. Eating healthy, staying healthy, In addition, consider choosing products free of dyes or even paraben free. “Hugs & Kisslings” has all natural, home and personal care products. “Natures Bath and Body” has all-natural products from body butter to teeth whitening products and much more. I personally love their vanilla aroma spray. Overall, we will never see change on the outside until we have changed within – Ravi Zacharias. So, make a change today, not only for yourself but for the benefit of your family and friends as well. Good health is true wealth. Here is a list of retail establishments mentioned. The Lasco Press welcomes new contributing author April Daggett. April is 28 years old and holds a Bachelors Degree in Business Administration with 48 semester hours in Human Services and Psychology. April enjoys writing poetry, painting on canvas, charcoal drawing, and reading. Her passion for journalism is expressed in her youthful and optimistic approach to writing about subjects she enjoys sharing. We are excited about April’s addition to our writing staff and look forward to her contributions.